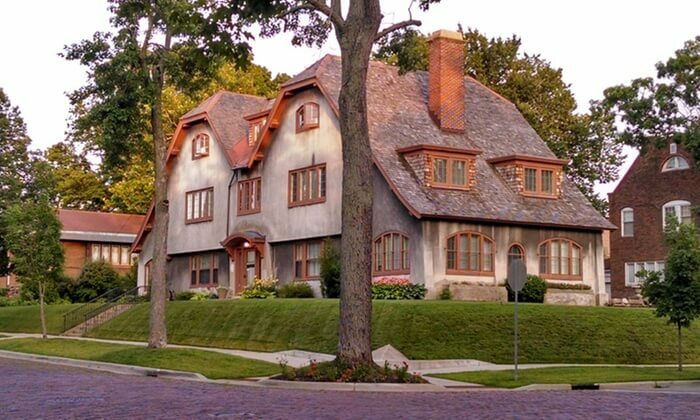 As the name implies, the Southwest Michigan town of Holland is proud of its Dutch heritage. 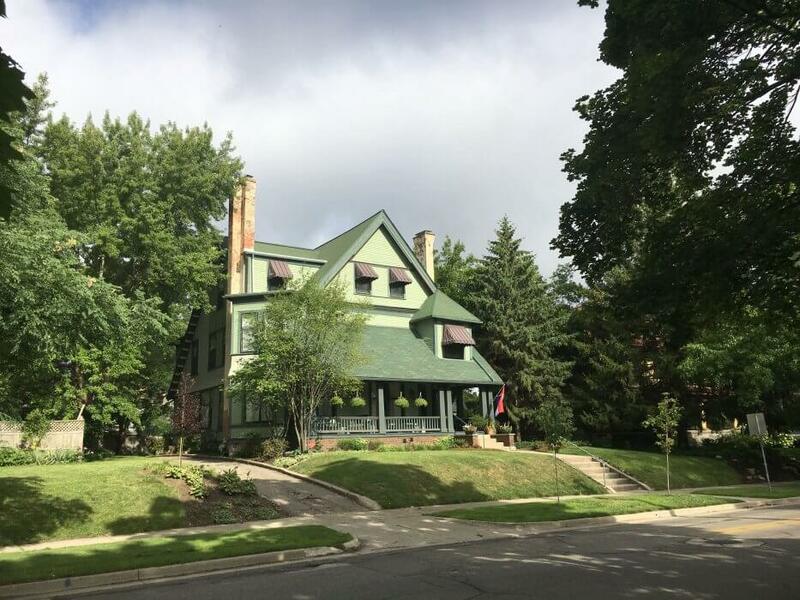 Get comfortable at a Holland bed and breakfast and discover this wonderful and unique place on the shores of Lake Michigan. Admire elegant Dutch art at the Holland Museum, and visit Nelis’ Dutch Village, which features early 20th-century Dutch architecture, crafts, music, and dance. Be sure to try on a pair of traditional wooden shoes after watching how they are carved. Visit Windmill Island on the edge of town and admire the only genuine Dutch windmill in the USA. The Dutch connection even reaches into the agriculture of the area; each spring, thousands of tulips toss their colorful heads in the wind. The region is said to have more varieties of tulips than any other place in the country. 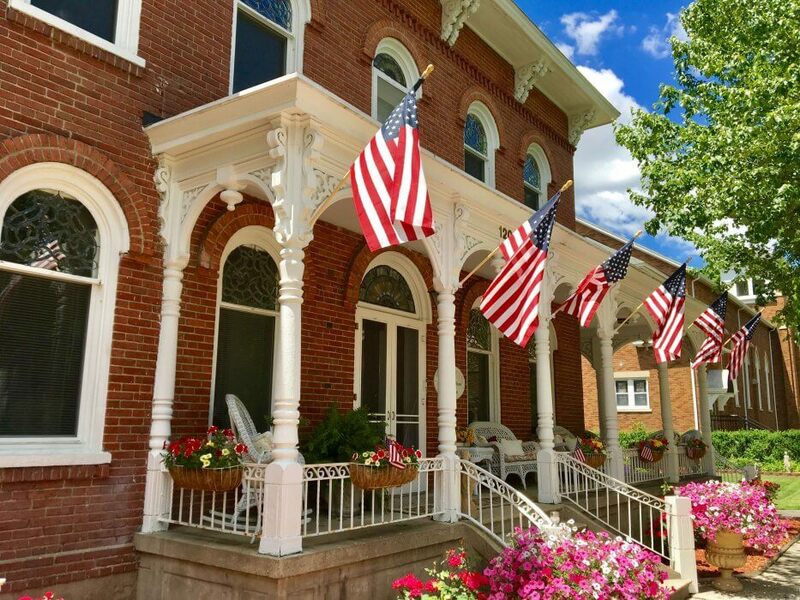 Be sure to travel to Holland’s bed and breakfasts in early May for the Tulip Time Festival, which boasts over 1,500 authentically dressed Dutch dancers and millions of tulips. It is wonderful to stay in a bed and breakfast during the Dutch Winterfest. From November to January, the town comes alive with a Holiday Kerstmarkt (or European-style open-air market), where it is always possible to find a delectable Dutch treat. Witness the arrival of Sinterklaas, who (according to Dutch tradition) visits towns each December on a white horse, accompanied by mischievous Zwarte Piet helpers. It is absolutely delightful to experience a town with such deeply embedded, culturally distinct traditions. There is so much to do and see around Holland that you’ll want to return to a bed and breakfasts in Holland again and again. Snap a photo of the aptly named Big Red Lighthouse, one of the most famous Michigan Lighthouses of all. 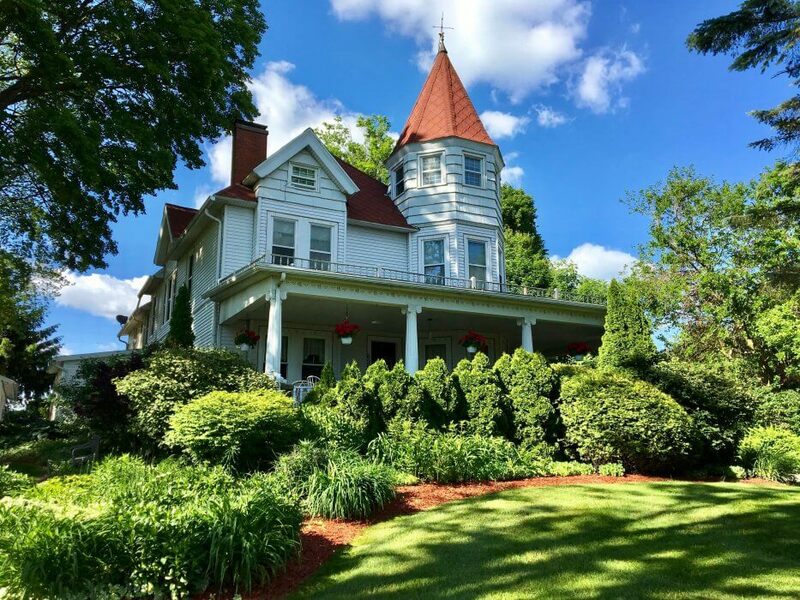 Tour the numerous Michigan wineries in and around Holland. Spend time walking along the white sandy beaches of Holland State Park, or hop on a boat and head out onto Lake Michigan. Simply wonderful. 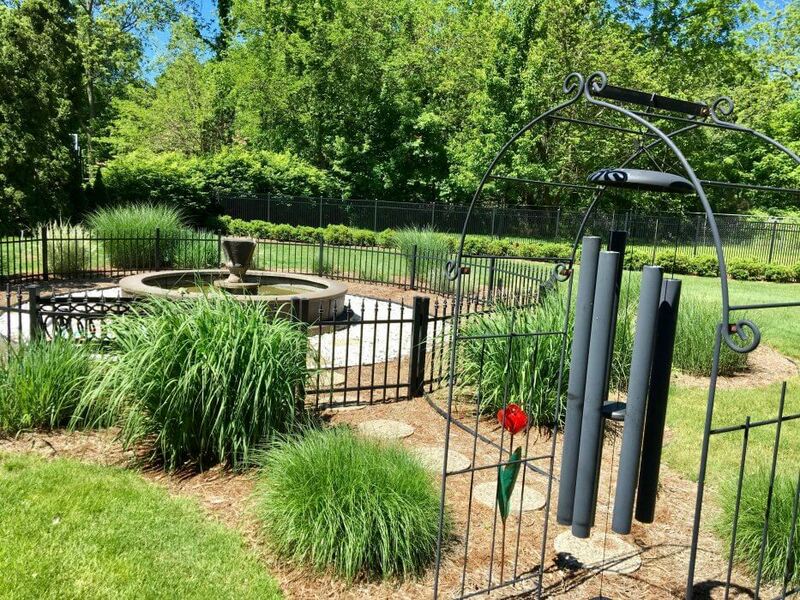 Quiet neighborhood setting a block from Lake Macatawa and five minutes to downtown dining and shopping. Take the bike trail. Large landscaped garden with gazebo. Multi-course breakfast. Between Saugatuck and South Haven. 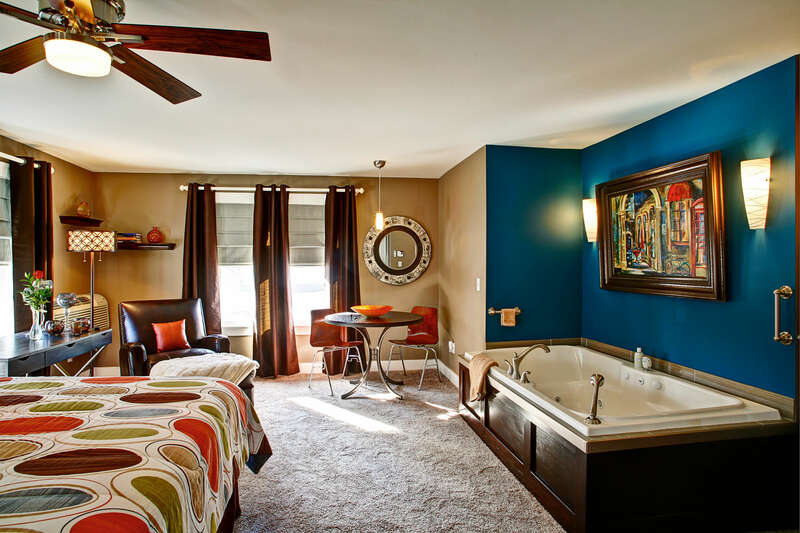 Five guest rooms, five baths, double whirlpool tubs, fireplaces, TVs. Gourmet breakfast. On 11 wooded acres with pond, beach, trails. Dutch hospitality at its finest. Elegant yet homey. Residential setting 15 blocks from downtown. King and queen beds, spacious rooms, jetted tubs, in-room fireplace, lovely antiques. Have it your way, but have it in luxury. Eight king spa suites, eight baths with fireplaces, whirlpools, jetted showers. Candle-lit breakfast or in-room. Near everything Grand Rapids. In the historic Heritage Hill neighborhood just east of downtown, two pastors blend hospitality and ministry. Five guest rooms. Walk to many cultural attractions, restaurants, boutiques. Romantic getaway in a small town. Saugatuck, Holland and South Haven — we’re in the center of it all and just five minutes from Lake Michigan. Near orchards, wineries, farm-to-table dining. Historic inn. Handsome, spacious guest rooms. Complimentary parking, WIFI & hot breakfast. Heated bathroom floors. Flat screen TVs. Near downtown. Park and walk or Uber. Romantic getaway. 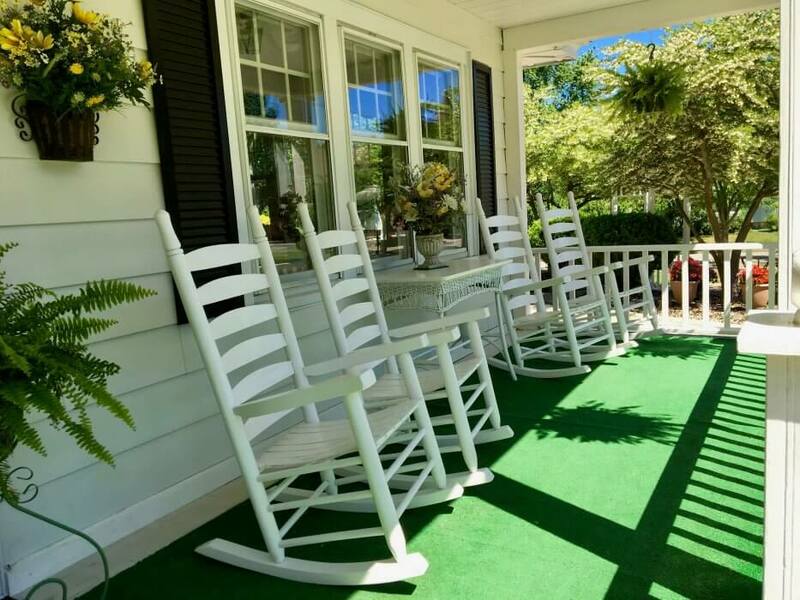 Couples getaway overlooking Lake Kalamazoo in the heart of the Art Coast. All 18 rooms have king beds, fireplaces, jetted tubs. Room-delivered breakfast and evening dessert. Beautiful resort town on Lake Michigan. Walk a few blocks to downtown or the beach. 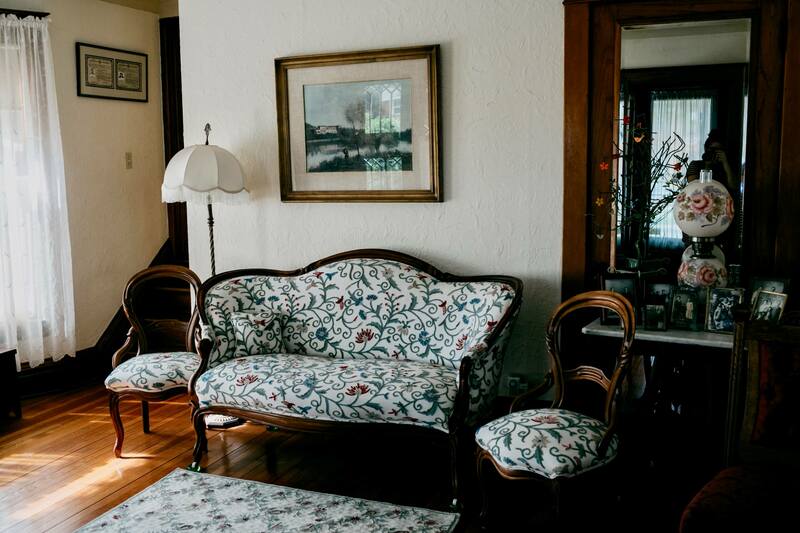 Five guest rooms in 1902 craftsman-style home. Dedicated long-time innkeepers. Great breakfasts. Wooded elegance a half-block from Lake Michigan beach. Cute town next to Saugatuck. Six themed rooms and suites. Fresh, hot breakfast. In-ground heated pool. Wrap-around porch. 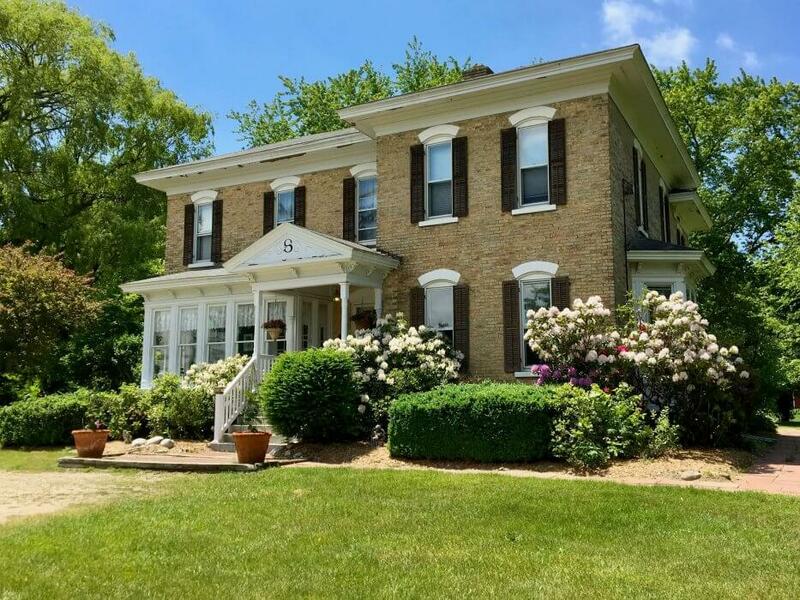 The grace of a bygone era meets Southern charm minutes east of Holland and the Lake Michigan shore. Wrap-around porch. 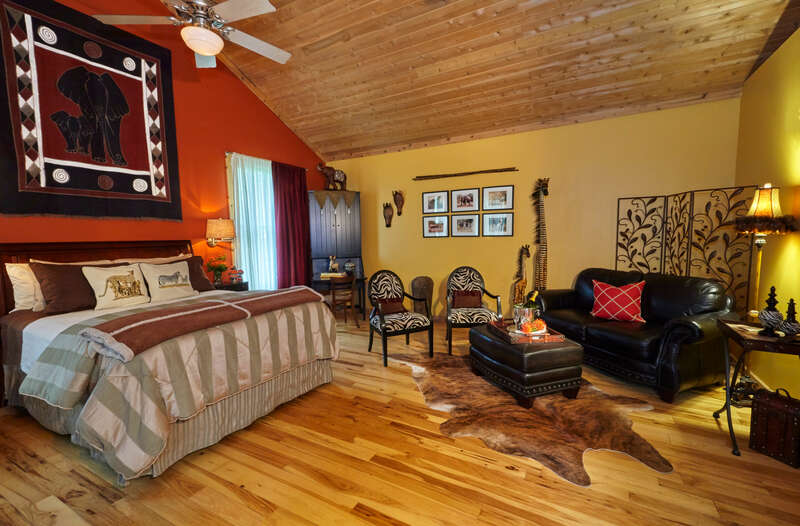 Four rooms ideal for romance and celebrations.